JT Enterprises manufactures and wholesales bulkhead fittings in West Central Florida. JT Enterprises also manufactures bio balls, which go hand in hand with bulkhead fittings for use in aquariums. 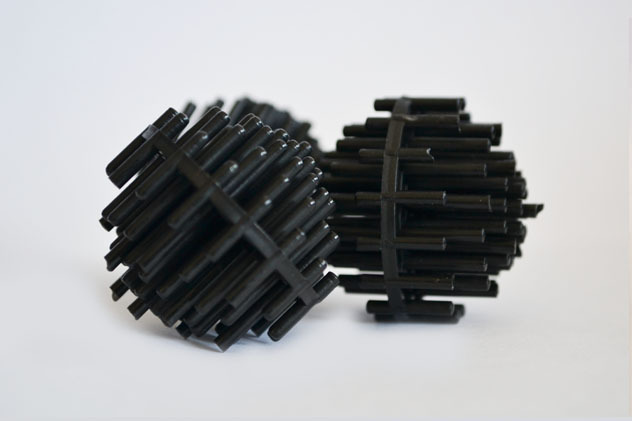 Bio balls and bulkhead fittings are used in a diverse range of applications that spans many industries. Aquarium manufacturers, the boating industry and commercial wastewater facilities are just a few of the people that use our products. All of our products are made in the United States of America. We use the highest grade materials available and have strict quality control. We warehouse a large inventory of product, so you – the customer – can order and receive your products when you need them. JT Enterprises offers bulkhead fittings for use in aquariums, wet/dry filters, and other commercial and industrial systems. We manufacture bulkhead fittings in a wide range of sizes and styles to meet small or large applications, and to allow you to glue or thread connections based on your preference. 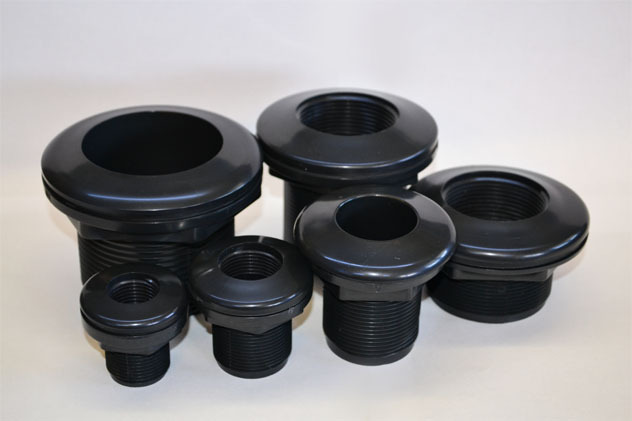 Our bulkhead fittings are manufactured with the same ABS plastic which is widely used in the plumbing industry. Our fittings are black ABS and are also UV stabilized. Due to the UV stabilizer, our bulkhead fittings will not crack when exposed in the elements. The thickness of our bulkhead fittings are the best feature. They are rated as schedule 40 plus. Our bulkhead fittings are actually larger than standard schedule 40 fittings. The gaskets are “Duraflex” which will not dry rot or crack. It is a high grade of flexible material that lasts over ten years without dry rotting. In our 20 plus years of business we have managed to stay successful by treating each customer the same way we would like to be treated ourselves. I know, that may sound corny, but that is our commitment to you. A lot of companies make that promise but don’t come through with it, however we want to be the company that changes the mold. In order for you to understand why we take that position, first we would like to give you a history of how our company came into being. It all starts with the vision of its owner Joseph Truhan. In 1997, Joseph Truhan had the vision of becoming and living the American dream. This dream was being a self-made entrepreneur, and starting a business which would be a legacy that he could leave for his family name that would last hopefully indefinitely. But dreams without actions stay just that a dream. In order for it to become a reality Joseph decided to put his dream into action. Mr. Truhan decided to take the risk of investing his hard-earned savings into developing his own company. This took commitment and imagination in order to step out and enter into a field of business he had little experience in. For the longest time Mr. Truhan was an avid fish enthusiast. He loved to go fishing in the ocean, rivers and lakes. His love for fish also translated in the desire to keep an aquarium in his home. So with his knowledge of maintaining an aquarium he decided to get involved in the aquarium industry. Selling filtration products, namely bulkhead fittings and bio balls was the end result. Because this market is so competitive, Joseph knew that he had to bring something different to the table in order to both break into the market and also create his own niche to which he could develop a solid clientele. The only way he figured that he could get these customers and get a solid product to them would be to manufacture the products himself. That decision turned out to be the right one. When you’re the manufacturer you control the quality, quantity and availability of your products to your customer; this was a unique opportunity for us to make sure that everything we sell to your customers represents the level of commitment and quality that you would want if you were buying it. Mr. Truhan then decided to invest in a well-known manufacturing company and then started to work. He figured it would be much better to make a few products so he could personally oversee quality control as opposed to having a wide variety of products were quality issues might slip through the cracks.